Dr. Baron Whateley is a native of Rochester Hills, Michigan. He earned his Bachelor of Science in zoology from Michigan State University. He was accepted to dental school at the University of Michigan and graduated in 1975 with his Doctorate of Dental Surgery. Following dental school, Dr. Whateley joined the Indian Health Service and worked as a dentist in Tahlequah, Oklahoma, the capital of the Cherokee Indians. He was later recruited to the orthodontic program at University of Detroit-Mercy, where he graduated with his orthodontic certificate and Master of Science. 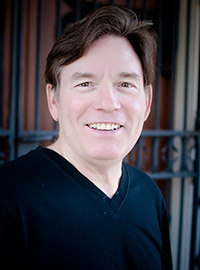 In 1989, Dr. Whateley earned his board certification and became a Diplomate of the American Board of Orthodontics. In 2009, he was accepted as a member of the Edward H. Angle Society after undergoing peer analysis of patient treatment outcomes. Members of the Angle Society are regarded as being at the top echelon of orthodontists in the world. Dr. Whateley is an adjunct professor in craniofacial orthodontics at the University of Detroit-Mercy, where he also serves as director of the Craniofacial Anomaly Clinic. He is a co-founder and co-director of the Children’s Craniofacial Center based at Dupont Hospital in Fort Wayne. Dr. Whateley works with a multidisciplinary team that includes a plastic surgeon, oral surgeon, otolaryngologist, pediatric dentist, speech therapist, social worker, and a registered nurse, all whom are committed to the advanced treatment of cleft and craniofacial disorders from birth through adulthood. The team meets as a group with patients and their families to coordinate care between the specialists. Dr. Whateley and his wife Mary Lou have three children and four grandchildren. He is very proud of his wife, who is actively involved with several charitable organizations, including the dental alliance at the national, state, and local levels. Mary Lou has held many leadership roles, including president of the Indiana State Dental Alliance and Isaac Knapp Dental Alliance, and she has been nationally recognized for the work she has done providing education and access to dental care for children and adults alike. In his spare time, Dr. Whateley enjoys playing with his grandchildren, attending continuing education meetings, biking, running, small-bore target shooting, and swimming. He qualified to try out for the 1968-1996 Olympics in Shooting and holds a national record at Camp Perry, Ohio. He has mentored many teens and young adults in competitive small-bore target shooting. If you know of someone who may be interested in the sport, please talk to Dr. Whateley!